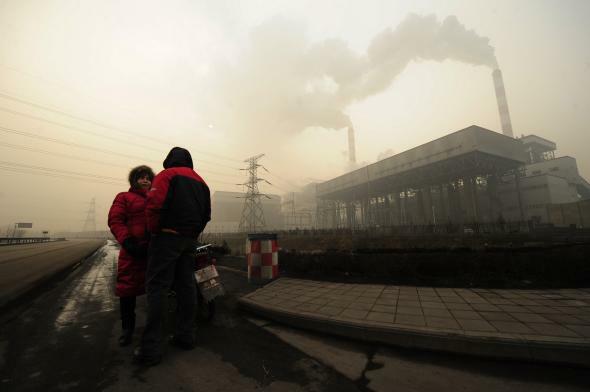 China to announce carbon cap-and-trade program. Two people talk outside a coal powered power plant on the outskirts of Linfen, in China’s Shanxi province, regarded as one of the cities with the worst air pollution in the world. Under a cap-and-trade system, a concept created by American economists, governments place a cap on the amount of carbon pollution that may be emitted annually. Companies can then buy and sell permits to pollute. Western economists have long backed the idea as a market-driven way to push industry to cleaner forms of energy, by making polluting energy more expensive.